Here's my second take on my Mossy Owl mittens. Instructions can be found here. 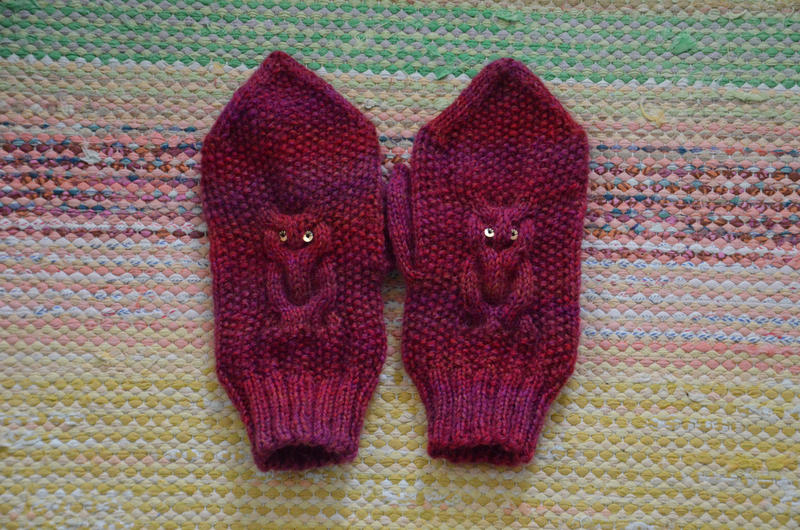 It was a good idea to make the same mittens a second time. Now matter how closely you think you've read the instructions, you always find some mistakes when you read it again. But now I've corrected the mistakes I found. Feel free to tell me if you find more mistakes! 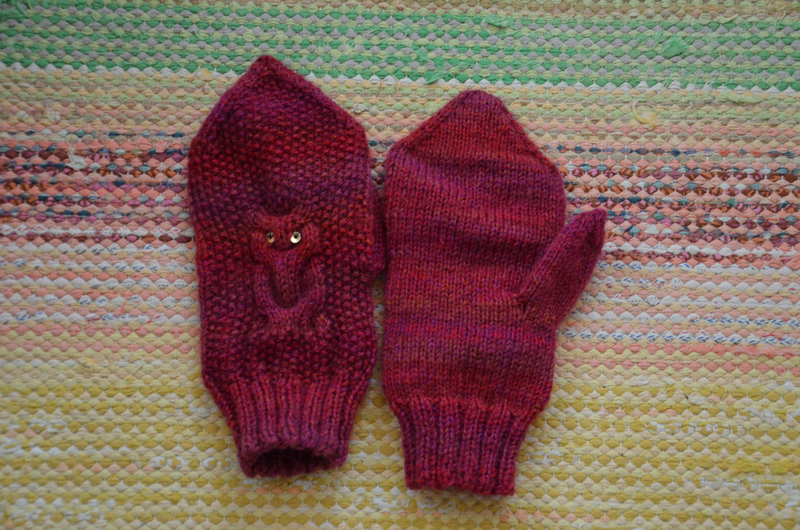 These were made as a birthday present for a friend. Hope she liked them!